Contemporary Loft Living in a single family home. Part of a multi million dollar development plan on Lafayette Avenue. 13 new homes already built and plans in place to build 12 more. Few short blocks from new 1/2 billion dollar SLU hospital. 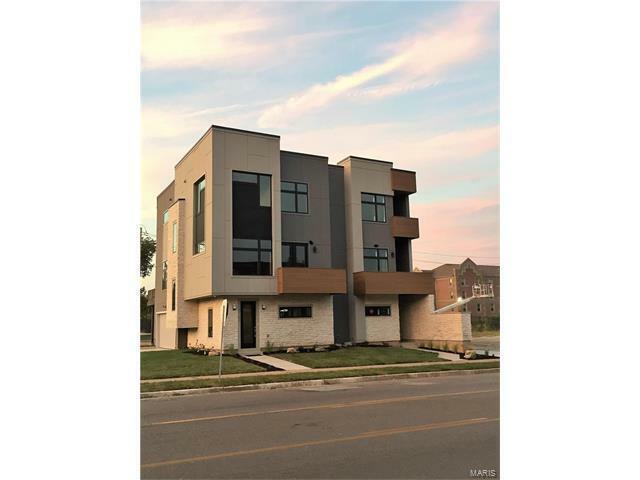 Modern design and finishes including 10' ceilings, expansive windows, stone counter tops with grand island, hardwood floors, porcelain tile. Entertain friends in this open floor plan , or on your front balcony or rear deck. Custom staircase is a unique one of a kind. Master bedroom suite features walk-in closet, and bath. Walking distance to; restaurants and cafes; Lafayette Square/Park, SLU Medical Campus, and Cardinal Glennon Hospital. 5 minute drive to Soulard, South Grand, Tower Grove Park and Botanical Gardens. 8 minutes to Downtown and CWE. Easy highway access to 40, 44, 55 and 70. Tax abated for 10 years at approx tax of $100. Smart home system includes I-phone controllable lighting, indoor and outdoor speakers and cameras.